Ok, I know I'm a self-confessed DRUGSTORE beauty junkie. And well, there's always a first time for everything, right? raved about Clinique 3 step regime. 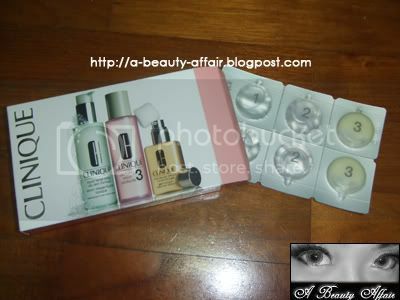 Then print that page out and present it at any Clinique counter to redeem your customized samples. I was recommended the clinique moisturizing lotion 2 as it does not contain alcohol. So I was given both clinique moisturizing lotion 2 and clinique lotion 2. Clinique lotion 2 contains alcohol and the moment I tried it. It stung my face so bad, I threw out the rest of the samples. And I have normal-combi skin and yet, I could not take the amount of alcohol in the CL2! Gosh, so I suggest you stay clear of CL2 unless you have skin as thick as an elephant's hide. blah blah blah and so on so forth. There're so many names for this procedure. 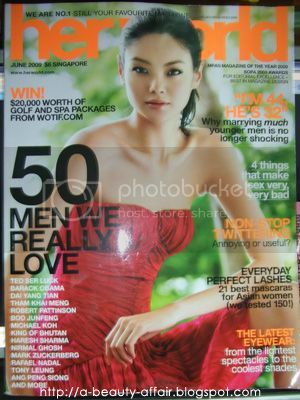 But anyway, apart from whitening jabs, I am saving up for BOTOX® masseter reduction treatment. Since young, I've had this bad habit of chewing on ice cubes. It's bad for your teeth and your jaw muscles apparently. Since now, I have a huge boxy face thanks to the excessive ice cube chewing. However, thank goodness that with money almost anything can be resolved. Presenting the "BOTOX® Masseter Reduction Treatment". The entire BOTOX® masseter reduction treatment is quick and minimally painful. And results would be more visible 6-8 weeks later. Some doctors charge based on how many units of BOTOX® you'll require. While some charge on per jab basis. So it's best to clarify all these with your doctor(s)/clinic(s) before you decide on which one you'll go to for your treatment. Some last 6-9 months while some probably would last slightly longer maybe a year or two? It all depends on how much BOTOX® was used initially and how you maintain it. If you're gonna be chewing on gum daily (or ice cubes for my case) then it won't be long for your jaw shape to go back to square one. LOL! Cost usually range from $500 to $1500. You know how the weather nowadays is always so hot & humid. How the unforgiving sun is always beating down mercilessly on us. How sweaty and sticky we start to feel just minutes of being outdoor. Fret (or should I say sweat) no more! Cus Kao Biore has just the thing to combat all that stickiness. Presenting the Kao Biore Sara Sara Body Powder Sheets!!! I am so in love with these. "Convenient, easy-to-use body powder sheets to refresh you instantly while you are on the go! Biore SaraSara Body Powder Sheets removes all odour, perspiration and stickiness with just one wipe. Unlike common wet wipes that tend to leave a sticky feeling, Biore SaraSara Body Powder sheets are formulated with superfine, translucent powder that leaves your skin smooth, soft and comfortable. Leaves no white residue." You feel like you're taking a powder bath when you use these. After wiping, you'll feel refreshed thanks to the cool and wet wipes. Oh and they smell pretty good too. There's 2 type of fragrances- Citrus or floral. Shortly later, you'll be surprised to feel as though you'd just sprayed powder all over after a bath. The areas which had came in contact with the wipes are now powdery smooth and soft. Just make sure that you avoid the wipes getting in contact with dark colored clothings. John Little Expo SALES! AGAIN!!!! Learn how take care of your FACE & NECK with 24K Bio-Gold! FREE goodie bag worth $50! Purchase up to $120 and get a stylish bag & 6 pc travel kit FREE! 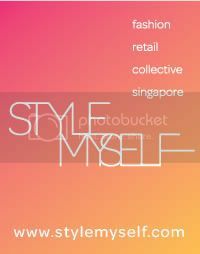 Please email enquiries@bioessence.com.sg to register by 29th June 2009. 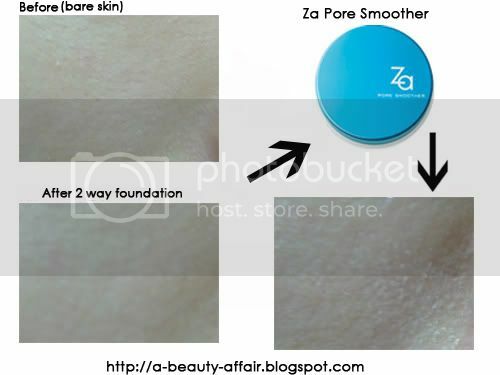 The ZA Pore Smoother is the latest addition to the ZA Blemish Shoot range. This is an interesting and innovative product. Thank you, ZA for letting me have a chance to try and review it. 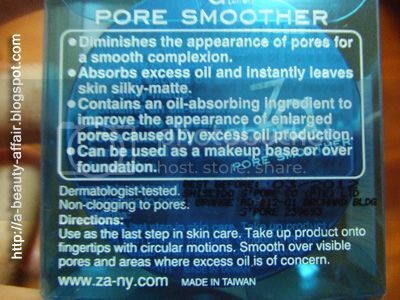 I was initially skeptical about how the pore smoother could actually minimize the appearance of pores and all. However, I was convinced after trying it on as I could see that instantaneously, my pores appeared less visible. 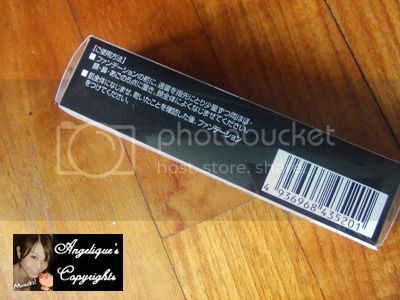 I like how the balm is light-weight so you hardly feel anything when its applied on. Another great thing was that it is also odorless and colorless. So it does not feel heavy on the skin or pore-clogging. And something which I'd figured out, appear balm on slightly damp skin = better coverage! I used it BEFORE makeup. After applying my makeup, I could hardly see my pores at all. It made my complexion appear smooth and flawless. Best of all, it did not cause my skin to breakout. I would say, thumbs up for this new product, and at a price of $15.90. 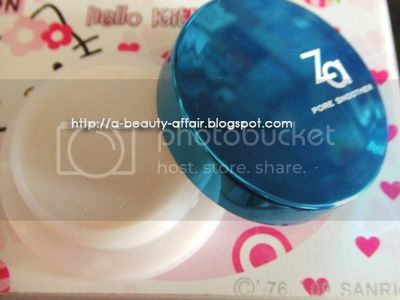 It is such a steal as compared to Shills Pore Perfect & BeneFit's Dr Feel Good. Also I find that it goes on well with both liquid foundation & 2-way foundation cake. I bet it'll compliment cream foundation as well. 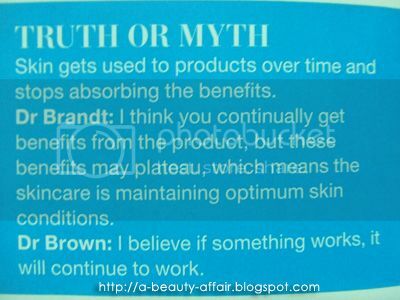 However, even though it's said to be able to used before or after makeup. I think it works better BEFORE makeup. As AFTER makeup, it'll cake up the 2 way foundation powder. 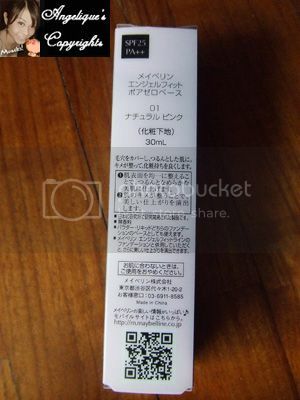 I'm using L'Oreal True Match 2way foundation here. 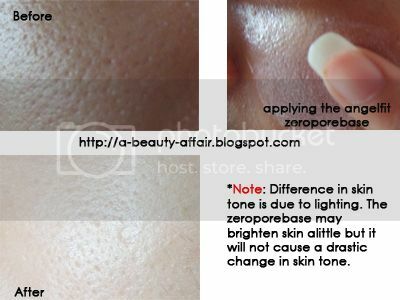 ***NOTE: I know there seems to be a difference in my pore size from the 2 photos. After taking those horrendous photos on 24/05 & realising how ugly my pores appeared. I did a scrub using the Dermalogica Microfoliant, followed by a deep cleansing Queen Helene Mint Julep Masque & then Dainty Rose Sheet Mask. This could have helped in making my pore size look smaller. 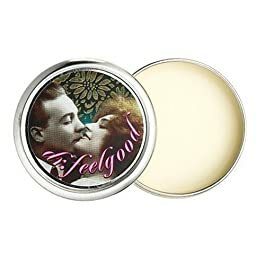 By the way, has anyone tried Shills Pore Perfect & BeneFit's Dr Feel Good? It'll be great if we can do a comparison among these 3. Some say I've been blessed with a thick and black mane. it gets more difficult to maintain. be moving to Orchard Ion soon. amount of money on a mere haircut. I've never been a hair person, I keep my style simple and easy to maintain. I don't bother much with hair trends and the likes. So this was a first for me. Having a haircut in somewhere deemed 'atas' (It means 'high class' in Malay) place. The white, minimalist interior of the place gives it a classy look. I am ushered to my seat upon arrival and asked what beverage I would like. 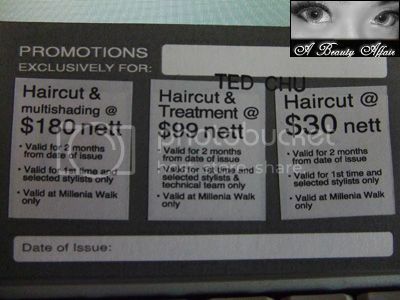 Awhile later, I am introduced to my stylist who was called Ted Chu. And despite the "language barrier", as you know, my mandarin is really half pass six standard, I managed to get across what I'd wanted out of this haircut session. I wanted a trim of around 3 inches and to thin/layer my hair since it was really thick. He suggested that he gave me more layers at the top to create more volume. I agreed with most of his suggestions as he's the expert here. Before the haircut begun, one of the apprentice helped me into a robe and then I had my hair washed and wow... atas place means atas hair wash seats. I usually get a neck ache from the usual seats but this one had a wonderful sturdy cushion support for the neck. And that's not just all. The head and neck massage was different from most salons. It was so comforting and relaxing, I almost fell asleep! I can't stop raving about the massage, seriously, it's spa-worthy! After my hair wash, I let the stylist work his magic. They didn't just give me a crap haircut just because it was free. The entire haircut took 1.5 hours and I could see the effort put into it. He even took out curling tongs to finish off the look for me. I think the photo doesn't do it much justice. this "romantic look" which is not quite the usual me. Since I am pretty much a fuss-free person when it comes to hair styling. But this was something refreshing and new for me. After the whole process, he gave me his name card and a promotion card. Yipee! More discounts for me! I think the multishading offer is really worth it. Since they already charge min $239 for that!! And it's 2 tone coloring, meaning base + highlights! And this... I didn't know that they did mani/pedis too. 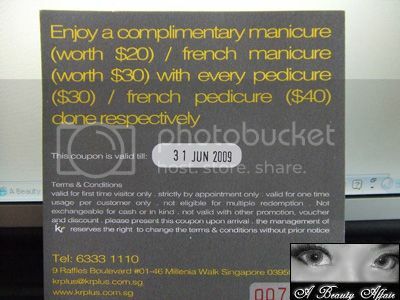 This is a steal too since a french mani and pedi elsewhere would probably cost like $50-60 odd or more. Photos of me using this makeup base. with the Shills peel-off mask. Personally, I think this one works better with liquid foundation than 2-way cake foundation. 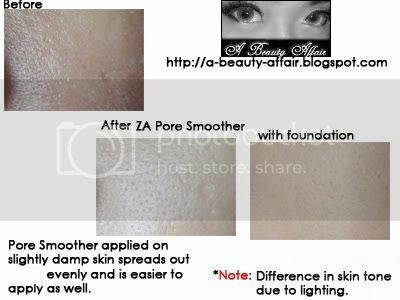 As you can see, after applying the 2-way foundation, it made the pores appear even more visible. 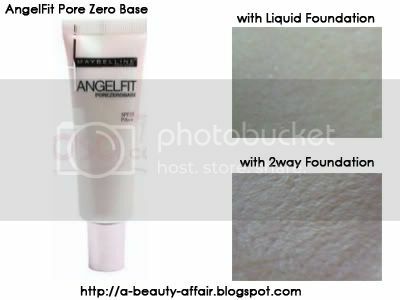 My ratings are reflected on using the Angelfit Pore Zero Base with the Revlon Beyond Natural Liquid Foundation. It's quite a sad thing that pore size can't be significantly reduced. If you want much more visible results, you'll have to turn to BOTOX® which can be expensive and addictive. According to splendicity.com, BOTOX® is said to be able to treat skin conditions such as large pores, oily skin, and inflammation from acne. "The injection of Botox into the skin actually causes the pores to constrict in size, which is a huge plus for anyone who has tried to reduce them in the past – there have always been different methods and applications to reduce pore size, but there is nothing topical that can be applied to the skin to reduce their appearance." So how does BOTOX® work for large pores? "The Botox interacts with the tiny little muscle around the pore. These muscles don’t form wrinkles; they’re the same muscles that create goose bumps. The injection into the shallow layer of the dermis freezes the same tiny muscle so that the skin is now taut." I am VERY tempted but there's so many other stuff I also wanna try out on an aesthetic clinic's menu! 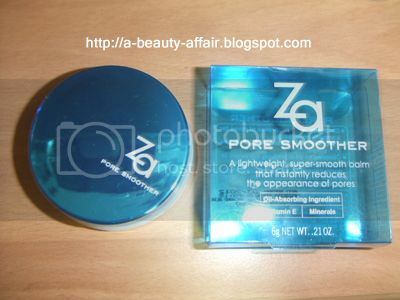 By the way, I've also update my ZA Pore Smoother review with photos. 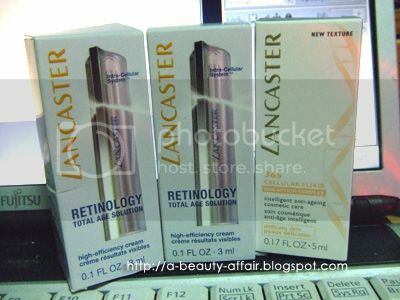 Get it at Kinokuniya as I heard that you'll get an additional Laneige Pore Free Trouble Kit worth $28 on top of the freebie Lancaster sample. And you can trade your insert in the magazine for another 2 Lancaster samples. 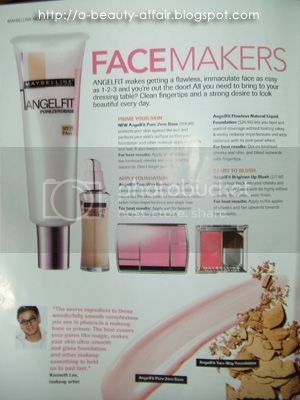 The Angelfit Maybelline Pore Zero Makeup Base is featured in Her World. 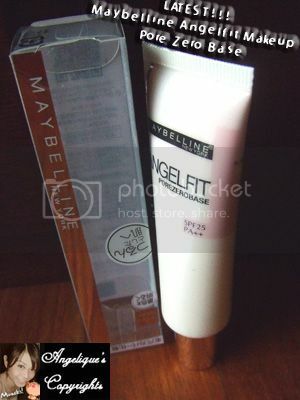 Big THANK YOU to Maybelline for giving me the opportunity to review it. So now we know :) I can continue using what has been working well for me. 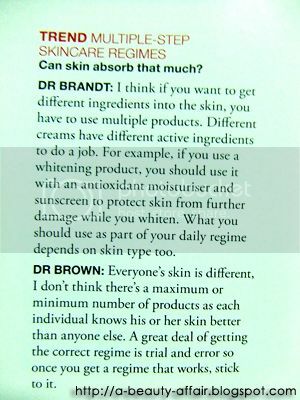 It's not that my skin is 'immune' to the product but it is cause my skin has improved; thanks to the product. 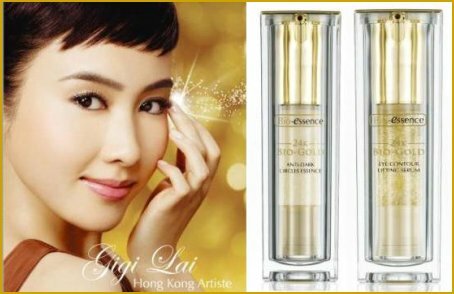 Also there is more information inside on how to join Bio-essence's "Look Younger with Golden Glow Instantly with Bio-essence 24K Bio-Gold Series" Challenge. The first 100 readers to get back to Bio-essence will be selected to attend the event in late June and receive a fabulous goodie bag worth $209! I've heard and read that the Bio-Essence 24K Bio-Gold Eye Care Twin Treasures for eyes are pretty good. 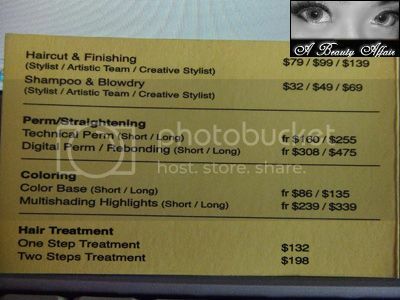 The Anti-Dark Circles Essence is priced at $43.50 and Eye Contour Lifting Serum costs $59.50!!! So how can I miss something as attractive as that!? !